The Chapel of Filippo Strozzi is located in the east (right) transept between the Bardi Chapel and the Tornabuoni (or Maggiore) Chapel. Its fame is due to the frescoes by Filippino Lippi started in the late 1480s and completed around 1502, the last series of paintings by the artist. 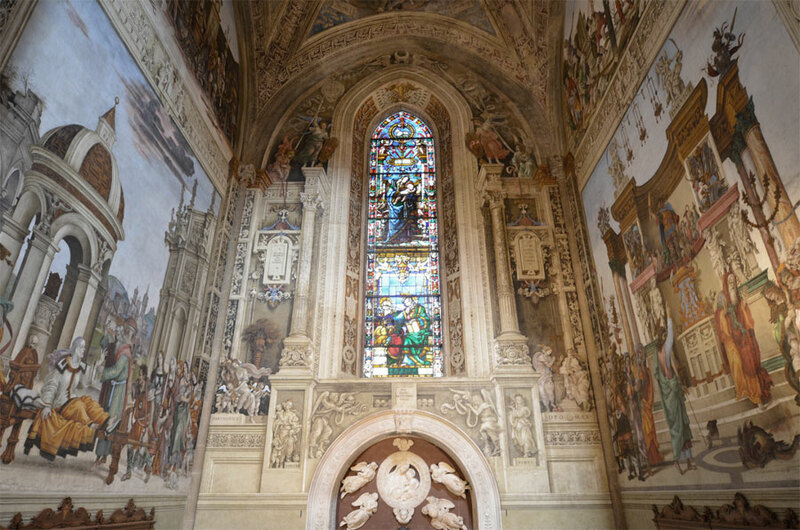 The chapel was commissioned by Filippo Strozzi the Elder, who had acquired the patronage of the chapel from the Boni family around 1486, and shortly afterward drew up a contract with the painter from Prato. 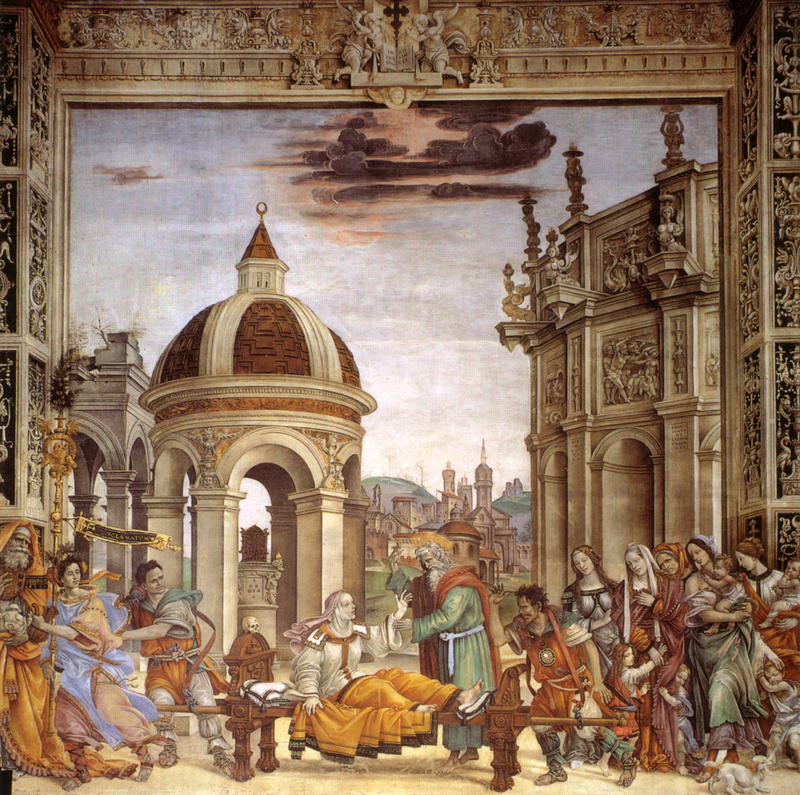 The work proceeded rather slowly, mainly due to Lippi’s lengthy stay in Rome, where he stayed for many years to fresco a chapel inside the Dominican church of Santa Maria Sopra Minerva. The theme of the cycle of frescoes in the Strozzi Chapel, formerly dedicated to St. John the Evangelist, were the life stories of Saints Philip the Apostle and John the Evangelist: the former as it was linked to the name of the benefactor, the second as as patron saint of the chapel. As agreed in the contract, on the express wish of the buyer, Lippi frescoed the upper right wall with stories from the life of St. Philip, namely a scene of his martyrdom and, down on the left next to those of St. John the Evangelist, the miracle of the resurrection of the girl Drusiana. 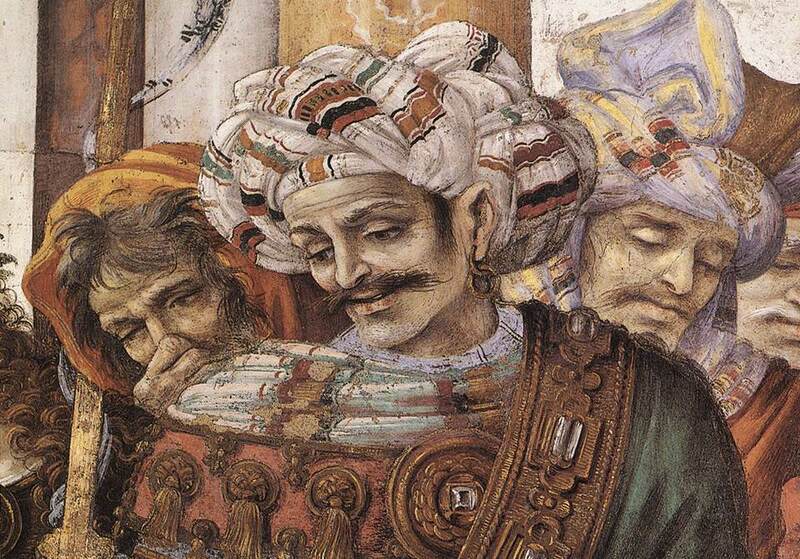 The Four Patriarchs of the Old Testament – Adam, Noah, Abraham, Jacob – appear on the sails of the vault. 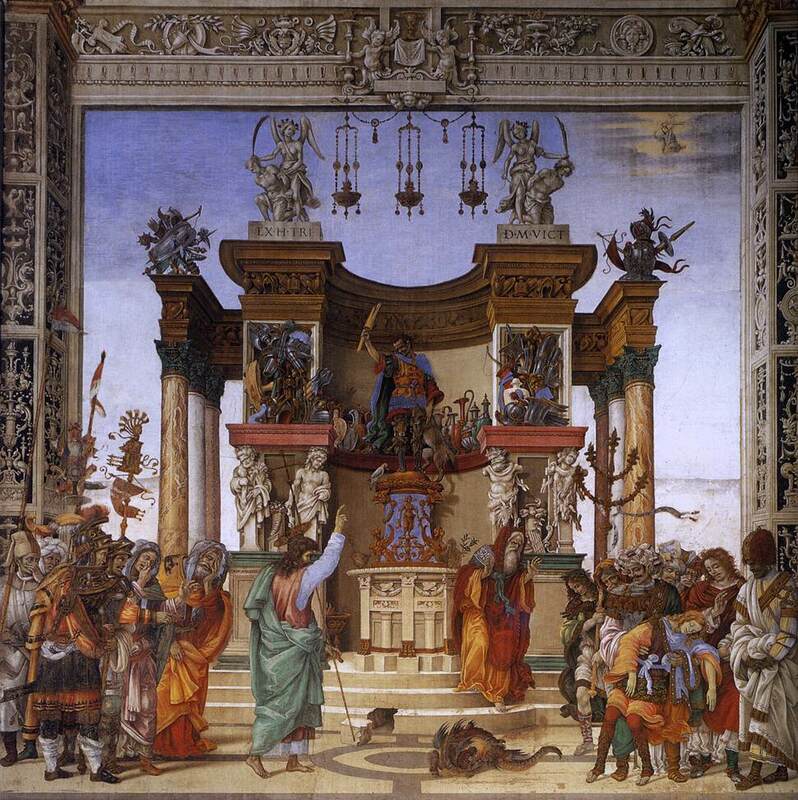 The back wall was designed by Filippino Lippi as the fulcrum of the chapel’s pictorial decoration, with its triumphal arch and allegorical statues depicting Faith and Charity. Even the lancet window at the top was designed by him with a Madonna and Child above and Saints John the Evangelist and Philip at the bottom. Behind the altar is the red porphyry tomb of Filippo Strozzi, sculpted by Benedetto da Maiano (at the tail end of the 15th century), above which there is a Madonna and Child relief in marble, surrounded by a wreath of roses and four flying angels. Completing the monument, the same sculptor carved a bust of Filippo Strozzi, whose family remained in his palace until 1878, when they sold it to the Louvre Museum.